Why is Halo Laser treatment being touted as the best of both worlds? Will it really give you younger looking skin? Should you believe what you read in the magazines about celebrities swearing by these Halo treatments? We’ll get you the info you need in short form here so you don’t have to dig around. And, we’re happy to say that YES, it really is pretty amazing and something that we know you’ll love. Halo by Sciton truly IS a new kind of laser. It gives you the results you want without the downtime you would expect. Yes, that’s right. This is the best of both worlds because it is blending 2 types of lasers. 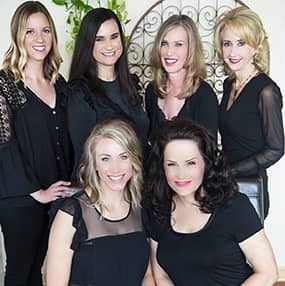 We are able to customize your treatment in ways not possible before based on your skin’s unique needs and desired downtime. Speaking of downtime, most patients want to know how long the downtime will be after a treatment. We’re happy to report that with Halo, you only need a few days of healing! The Halo Hybrid Fractional Laser focuses energy on the deeper collagen layer of skin leaving the surface of your skin largely intact for a quicker healing time. Halo will help you combat a multitude of skin woes in one power punch. 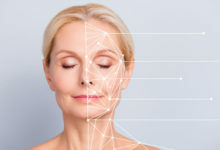 By targeting the epidermis and dermis, the hybrid laser can minimize the appearance of pore size, help correct sun damage, cut down on brown spots, and even skin texture and tone. It helps with scar revision and fine lines, also. If all of this sounds like something YOU would like to experience, Belladerm would love to invite you in for a consultation and we want you to know that we have an awesome promo running right now with 15% off Halo, Halo Lite and BBL Photorejuvenation through the month of September. Yes, the whole month! So we’ll see you soon! Give us a call at 763-494-9905.